Docker-Compose is a command line tool for defining and managing multi-container docker applications. Compose is a python script, it can be installed with the pip command easily (pip is the command to install Python software from the python package repository). With compose, we can run multiple docker containers with a single command. It allows you to create a container as a service, great for your development, testing and staging environment. In this tutorial, I will guide you step-by-step to use docker-compose to create a LEMP Stack environment (LEMP = Linux - Nginx - MySQL - PHP). We will run all components in different Docker containers, we set up a Nginx container, PHP container, PHPMyAdmin container, and a MySQL/MariaDB container. In this step, we will install Docker. 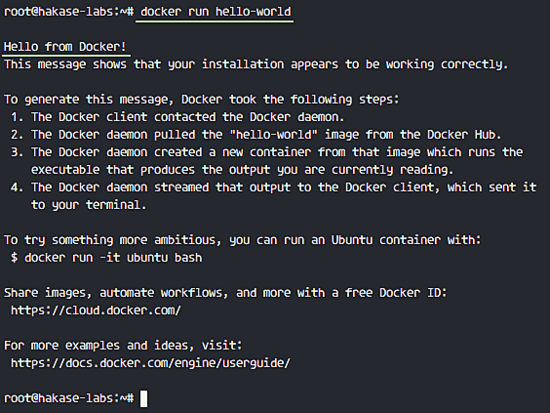 Docker is available in the Ubuntu repository, just update your repository and then install it. Install latest Docker from ubuntu repository. The Docker services are running. In the first step, we've already installed Docker. Now we will install docker-compose. 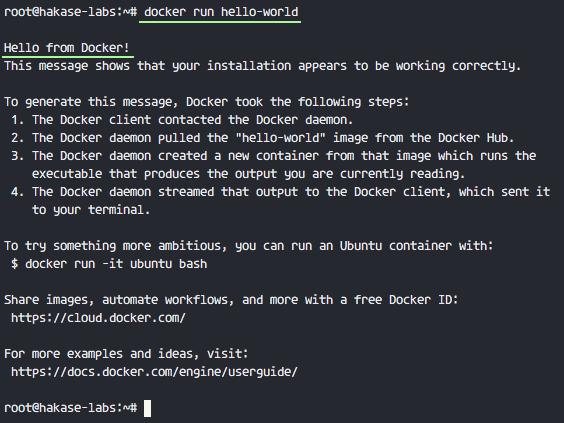 When the installation is finished, install docker-compose with the pip command. In this step, we will build our docker-compose environment. We will use a non-root user, so we need to create that user now. Next, add the new user to the 'docker' group and restart docker. Now the user 'hakase' can use docker without sudo. Next, from the root user, log into the 'hakase' user with su. Create a new directory for the compose environment. This is our docker-compose environment, all files that shall be in the Docker container must be in this directory. When we are using docker-compose, we need a .yml file named 'docker-compose.yml'. logs: Directory for Nginx log files. nginx: contains Nginx configuration like virtual host etc. public: directory for web files, index.html, and PHP info file. db-data: MariaDB data directory volume. Create the log files error.log and access.log in the 'logs' directory. Create a new index.html file and PHP info file in the 'public' directory. In the previous step, we've created the directories and files needed for our containers. In this step, we want to edit the file 'docker-compose.yml'. 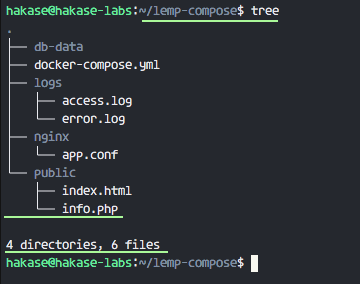 In the docker-compose.yml file, we will define our services for the LEMP stack, the base images for each container, and the docker volumes. volumes: mount local directories to the container. Mount the logs file directory, mount the Nginx virtual host configuration and mount th web root directory. phpfpm: define the service name. image: define base image for the phpfpm service with 'bitnami/php-fpm' image. ports: We are running PHP-fpm with TCP port 9000 and exposing the port 9000 to the host. volumes: mount the web root directory 'public' to 'myapps' on the container. mysql: as the service name. image: the container is based on 'mariadb' docker images. ports: service container using port 3306 for MySQL connection, and expose it to the host on port 3306 .
environment: set the environment variable 'MYSQL_ROOT_PASSWORD' for the mysql root password to the docker images, executed when building the container. We are using a 'phpmyadmin' docker image, mapping container port 80 to 8080 on the host, link the container to the mariadb container, set restart always and set some environment variables of the docker image, including set 'PMA_HOST'. You can see full example on github. Now we're ready to run docker-compose. Note: when you want to run docker-compose, you must be in the docker-compose project directory and make sure there is the yml file with the compose configuration. Now we've four containers running Nginx, PHP-fpm, MariaDB and PHPMyAdmin. Checking ports that are used by the docker-proxy on the host. We can see port 80 for the Nginx container, port 3306 for the MariaDB container, port 9000 for the php-fpm container, and port 8080 for the PHPMyAdmin container. Access port 80 from the web browser, and you will see our index.html file. 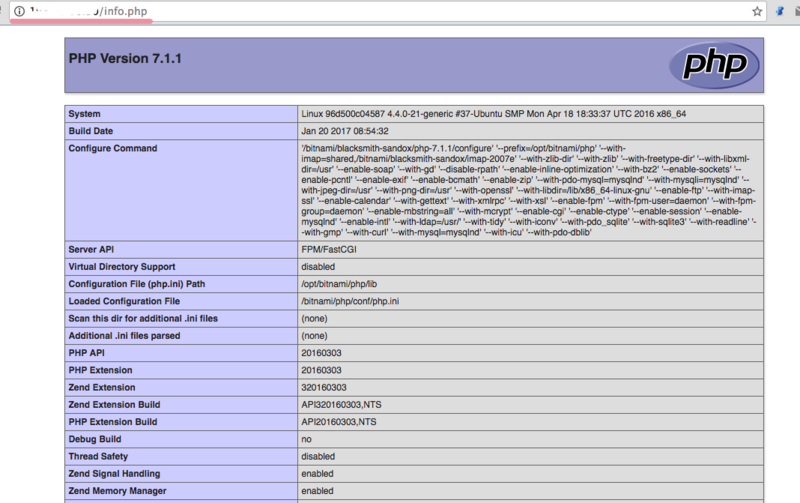 Make sure PHP-fpm is running, access it from the web browser. Access the MySQL container in the MySQL shell. 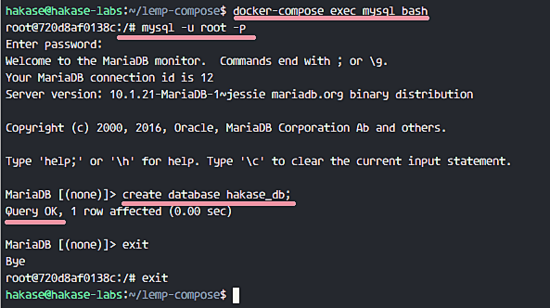 MariaDB mysql shell container is accessible, and we've created a new database 'hakase_db'. 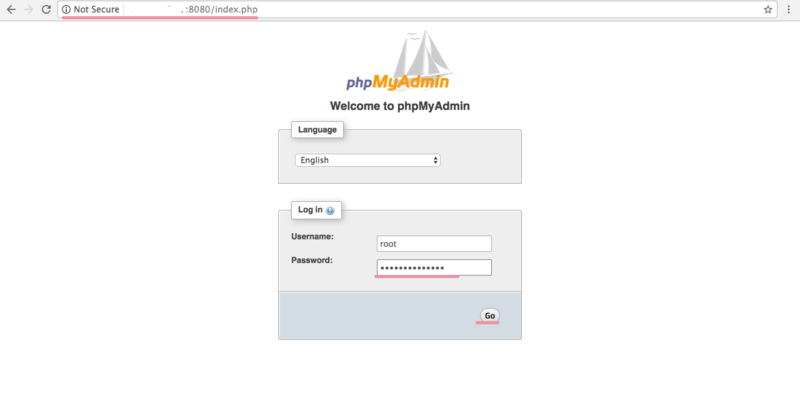 Next, access PHPMyAdmin on port 8080: http://serverip-address:8080/. You will see the PHPMyAdmin login page, just type user name 'root' and the password is 'hakase-labs123'. You will be automatically connected to the mysql container that has been defined in the PMA_HOST environment variable. 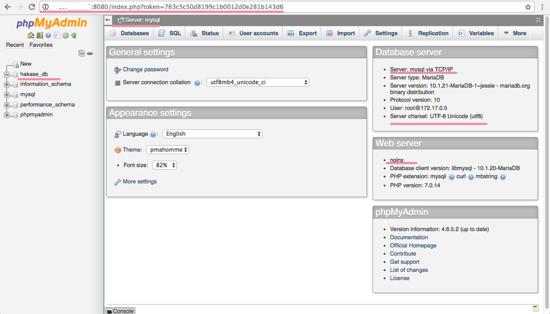 Click 'Go' and you will see the phpmyadmin dashboard that is connected to the 'mysql' container. Success! The LEMP Stack is running under a docker-compose setup, consisting of four containers. Nice try but bad execution. Sorry. The phpmyadmin Docker image already includes phpfpm and nginx. So you have 2 phpfpm and 2 nginx services for no reason. Also running random Docker images is never a good idea. Why not using official images? @Jetchko I disagree with your assessment of bad execution. This is the idea of Docker. Just as an exercise, what if PHPMyAdmin required a different version of PHP than an app that was running in another container? What if for some reason Apache was needed? The power of Docker is in creating simple useful containers, not building smaller virtual machines. In fact, this setup is the most secure/flexible. The PHPMyAdmin container can be started and stopped when needed. Although I do agree with not running random images, but you can go through the entire stack and determine if it is what you need. Are the hypens needed in the docker-compose.yml for the environment definitions for the phpmyadmin service? Slightly related - container security/deployment/management best practice presentations from SouthEast LinuxFest 2016: https://www.youtube.com/playlist?list=PLvG1nXgsl22FhL55suZtb7RIjEJtkYYC5 Learned a bunch here last year. Mainly don't deploy container images from untrusted sources. Seems obvious, right? What do each container repo require to post an image? Great how-to, I wull give it a try as soon as I find some time. 2. Also running random Docker images is never a good idea, not true the bitnami images are not just "random images", last instead of downloading the image you can always build them yourself. how do I get the server IP Address ? If you are not looking for the IP given the container. Your servers IP should be the same as the Host you are running docker on. Thanks for publishing instruction to setup a LEMP stack in docker. I ran into a bit of any issue, but maybe it was expected with this setup. The first PHP dependent application I tested post install of LEMP stack was GRAV. However GRAV was not working properly as pages where not loading. When I checked the Nginx logs I saw an error "FastCGI sent in stderr: "Primary script unknown" while reading response header from upstream. I made changes to the php location variable in app.conf, as this was a common answer with the error, but changing the php location information did not fix my issue. The issue is related to the document root set in the app.conf file. Folder containing GRAV is nested one folder under myapps folder. Once I changed the root variable to something like /myapps/GRAVFOLDER, everything worked as expected. I wanted to inquire if it is possible to have subfolders with PHP application within, served correctly with this setup. I would prefer not to have to specify document root if testing multiple PHP applications. Thanks for publishing instruction to setup a LEMP stack in docker. In addition to the compose command line readers might find useful our GUI for Docker on Ubuntu. Data Pulley is a lightweight management UI which allows you to easily manage Docker containers on your local machine. I'm going to assume that you are maybe running into the same problem that I was getting. Going to 127.0.01:80 in my browser was giving me a message saying "the connection was reset." ... and then I was able to go to http://127.0.0.1:21212/ and get a nice message welcoming me to nginx. I'll still end up having to do a bit more reconfiguration for my needs, but after wasting half a weekend, I am happy that I finally got this thing "working" to some extent, and I hope that my experience can at least set somebody on the right track. Cheers! I got similar error as nitima, Can you please share how was this resolved? It would solve your issue. Nice tutorial, but needs some update in the nginx blocks of docker-compose file.